Home software for restaurants How Can Restaurant Management Software Mature Your Business in 2020? The restaurant industry is observing a breakthrough. Most of the people are unaware of it, but the restaurant management software is the unsung hero of the food industry. The Point of sales of any restaurant plays a significant role in the effective working of the restaurants. The world has been automated, and so are the restaurants. There are so many operations that needed to be tackled in a restaurant, and all these can be managed with ease using the management software that has been specially designed for the restaurants. The restaurant management encircles around a myriad of functions, and this includes management, desk operations, tax management, warehouse operations, and inventory management. The management software for restaurant helps in managing all these tasks as mentioned above for the restaurateurs. Handling the taxes and maintaining them, reporting the daily transactions, real-time tracking, inventory and delivering the vital information for a customer - everything is taken care with the help of restaurant management software. Here are some of how the restaurant management software helps in maturing your business. It is impossible for you to keep a track on the performance of every employee on a daily basis. However, you will be able to know more about your employees and their performance with the help of the restaurant system software. From the sales exceptions to labour reports, you can keep an eye on the employees from the dashboard of your software system. If you opt for the cloud-based software, you can get their information anywhere anytime as the data will be present at your fingertips. There are various labour management tools present in the management software for restaurants that gives insights about the employees and their performance from time to time. The total sales, average table turns, complete tips, the total number of orders that have been fulfilled and also the list of the staff that needs additional training are provided in the software. AI is already here, and it has been making good progress in various industries already. After advancing a lot of technologically, the AI and big data are now incorporated into the restaurant businesses. The real-time statistics and data are provided in the software, and you will be able to access them at your comfort. These statistics can be used for better analysis and to make informed decisions. It is an undeniable fact that every business is different from one another and each business has different requirements. The software for restaurants varies from one another depending on the type of the restaurant. The best thing about this software is that they can be customized as per the requirement and the features that are required for the business can be incorporated into it. Their unique management software will make the management of the entire restaurant easy. You can add the modules that you require, and this even improvises the scalability of the software too. When you purchase this software as a service system, you are investing in the free upgrades and some extra features also. Inventory plays an essential part in any restaurant, and the management of this inventory is tedious. The management software crafted for restaurants will help you in tracking the inventory from time to time, and replenishment notifications are sent to you. This way you will be able to refill the stock in your reserve whenever required, and you won’t be facing any issues due to inadequate stocks either. It is a digital world out there which is run by the internet. Providing an online option to reserve a table or order from your hotel will take your restaurant a step closer to the customers. Due to the provision of various benefits online, people these days are reluctant to stand in a line for so much time for a table, or there are some who love just ordering in for the day. In such situations, the best way to become closer for your restaurant is by offering them online reservations and order facility. The restaurant software will make this feature possible. You will get alerts and notifications whenever a person books a table at your restaurant or orders something immediately. You will have the capability to process their request instantly. Customer data matters a lot for the restaurants. If you want to give a personalized experience to the customer, you should provide them with the data required. The integrated restaurant management software will keep all the data such as customer preferences, their loyalty program points, etc. at one place. You can use this data to provide better customer service. With the latest technology in place, the customers can pay their bills without the need of a waiter or a physical invoice. If you incorporate POS hardware for every table and connect it with the management software, the customers will be able to pay directly, customize the tips, rate and review your quality of service and food with ease. The entire process will be done in very less time. The one thing that customers hate more about the restaurant is the time that they have to wait in line to get seated. With the latest software, the customers will be able to order the food while they are in the line and the chefs present in the kitchen can start preparing the food meanwhile. This will save much time for customers and restaurants, and the checkouts will be faster than usual. Restaurant management software solutions assist restaurant owners and managers to modernize their business operation, provide superior customer experience, investigate their costs, and boost their profits. 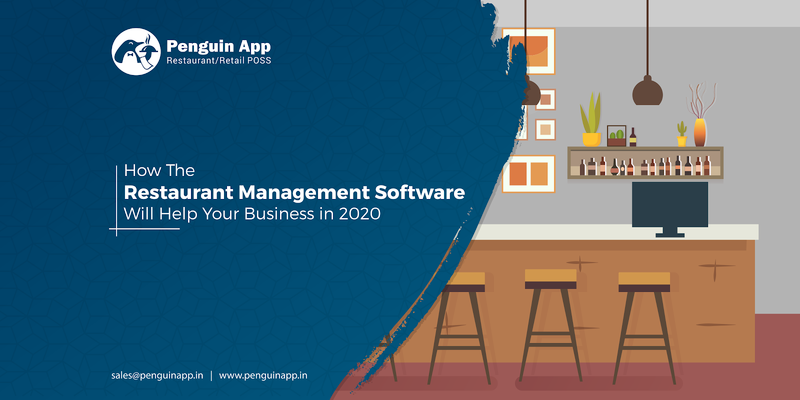 These are some of the ways in which restaurant management software will change the way you operate your business in the year 2020.